Timeline of the Maple Leaf Foods meat recall and listeriosis outbreak. Following the recall of tainted meats, slicing equipment on Maple Leaf Foods' lines were torn down and deep cleaned. ((Maple Leaf Foods/Canadian Press))What began as a curious uptick in listeriosis cases, quickly unfolded into a massive public health problem in the summer of 2008 as hundreds of people feel ill after eating tainted meat. Public health units in Ontario begin to see an increase in listeriosis cases. While four or five cases are normally reported, the number has climbed to seven or eight, but that is not yet significant, according to Dr. David Williams, Ontario's chief medical officer of health. Toronto Public Health ramps up its investigation after a case of listeriosis is discovered at a nursing home. Investigators take food samples from the home and send them to a Health Canada lab, says Dr. Vinita Dubey, Toronto's associate medical officer of health. Ontario's Health Ministry asks local health units for more details to judge whether the increase in listeriosis cases, now up to eight or nine, is significant. Before declaring an outbreak, provincial officials look for clusters of cases of the same listeria organism, based on genetic tests, Williams says. Health Canada tests show a sandwich from a nursing home in Toronto was contaminated with listeria. Toronto Public Health notifies the Canadian Food Inspection Agency of the positive food samples. CFIA telephones Maple Leaf Foods to inform the company that a formal investigation has been launched into their products. Maple Leaf Foods sends a letter to distributors to let them know of the investigation and ask them to put products on hold pending test results from CFIA. CFIA asks for samples of Sure Slice meat and other deli meats from hospitals and long-term care facilities. The facilities are also asked to hold those foods and not to serve them. Maple Leaf informed its Sure Slice roast beef and corned beef tested positive for listeria. Maple Leaf voluntarily recalls Sure Slice roast beef and corned beef. Maple Leaf prepares to recall more products after the company is told later tests showed listeria in its Sure Slice roast beef and corned beef. 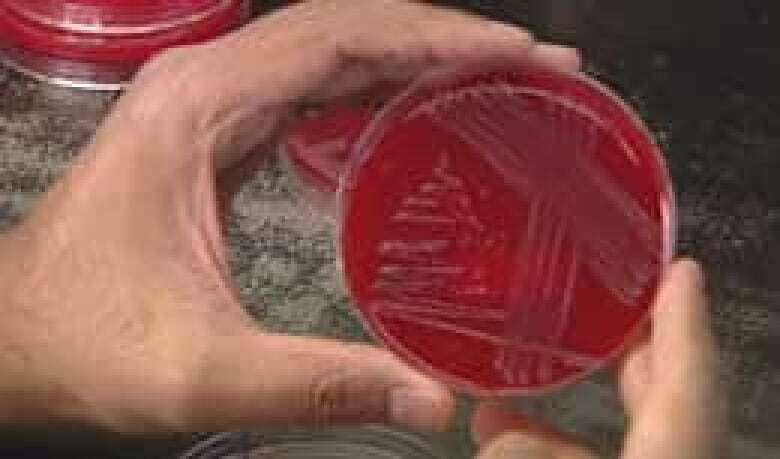 Federal officials confirm one death and 16 other cases have been linked to the listeriosis outbreak. Maple Leaf announces it is expanding its recall of packaged meats to 23 products, including a variety of turkey, smoked meat and roast beef products prepared at its Toronto plant since June 2. 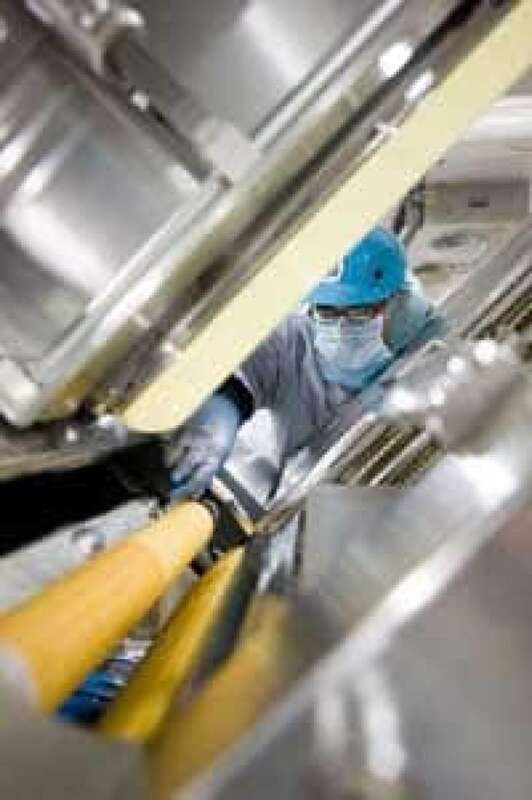 The company closes the factory to re-evaluate its food safety procedures. Royal Touch recalls its Shopsy's Reuben sandwiches, which contained meat included in the Maple Leaf recall. Tests firmly establish a link between the deadly nationwide outbreak of listeriosis and meat products from Maple Leaf, the Public Health Agency of Canada announces. Maple Leaf expands its recall to include all 220 items produced at its Toronto plant on Bartor Road as a precaution. Lucerne Meats announces it is recalling some Mac's and Safeway sandwiches in Western Canada because some of the food contained meat from Maple Leaf's Aug. 24 recall. Atlantic Prepared Foods Ltd. recalls its Irving, Sub Delicious and Needs brand sandwiches sold in the Maritimes because the ready-made sandwiches may contain some of the meat products recalled by Maple Leaf. Metro Ontario Inc. pulls some of its Fresh 2 Go sandwiches from A&P and Dominion stores for the same reason, the CFIA says. Public Health Authority of Canada officials say there are 15 deaths, mostly in Ontario, but also one each in B.C., Saskatchewan and Quebec. A death that is "under investigation" means that while the patient had listeriosis with the same strain as that of the meat recall, it's not clear what role it played in the person's death. If a person is under the "confirmed" category, it means that listeriosis from the meat caused the patient's death. Six sandwiches and two platters are added to the list of recalled products, including cooked ham and salami sandwiches sold at Sobeys, Foodland and IGA stores in Ontario and two Kirkland Signature sandwich platters sold at Costco. The Public Health Agency of Canada announces there are 29 confirmed cases of listeriosis: 22 in Ontario, four in B.C., one in Sask., two in Quebec. So far, 15 deaths have been associated with the outbreak linked to this strain: 12 in Ontario, one in B.C., one in Quebec and one in Saskatchewan. Dr. David Williams, Ontario's chief medical officer of health, called for strengthening the ability of provinces to respond to the outbreaks following in April 2009. In five cases, listeria has been confirmed as causing or contributing to the death; in the other 10, it is still under investigation whether the bacteria caused or contributed to the death, according to the agency's website. Maple Leaf Foods should bear the responsibility for the distribution of meat that led to the deadly national outbreak, the company's president, Michael McCain, tells a news conference. Law firms in Ontario and Alberta start legal action against Maple Leaf. Federal inspectors are spending less time on the factory floor and relying more on food producers to monitor themselves, says Bob Kingston, president of the Agriculture Union of the Public Service Alliance of Canada, head of the union for federal food safety inspectors. Agriculture Minister Gerry Ritz responds by saying the CFIA inspector at the Toronto Maple Leaf plant did his job properly. Health officials say the listeriosis outbreak linked to a plant in Toronto has killed at least eight people, all in Ontario. Seven other deaths — four in Ontario, and one each in Quebec, B.C. and Saskatchewan — are under investigation to see if listeriosis was the underlying or contributing cause. A total of 29 cases had been linked to the outbreak and 36 others remain under investigation. The CFIA posts six separate recall lists for various ready-to-eat deli meats and meat products sold across Canada. The listeriosis outbreak is blamed for a ninth death. The death occurred in British Columbia and is the first fatality outside of Ontario. The CFIA adds another 50 items, including hospitality and party trays, submarine sandwiches and wraps sold across Canada, to the list of products that may contain contaminated meat from Maple Leaf Foods. Health officials in Alberta confirm two cases of listeriosis, including one death, linked to the national recall of Maple Leaf Foods meat products. The death involved a woman in Peace Country Health Region in the province's northwest. She was in her 30s and had other health problems, the province's health ministry says. Listeriosis is the underlying or contributing cause in 11 deaths, up from 10, according to the Public Health Agency of Canada. The latest death linked to the outbreak was in Ontario and likely occurred in the past several weeks, Dr. Mark Raizenne says. A total of 33 cases of listeriosis across the country have been conclusively linked to the outbreak, and an additional 25 suspected cases are under investigation, the agency adds. Federal public health officials raise to 12 the number of deaths involving listeriosis. The latest death occurred in Ontario, where the number of deaths in which Listeria monocytogenes was the underlying or contributing cause is now 10. Health officials on P.E.I. try to determine whether a case of listeriosis is linked to the Maple Leaf recall. Prime Minister Stephen Harper pledges an independent investigation into the outbreak will be launched. The announcement comes as officials identify a 13th death directly linked to listeriosis found in meat from a Maple Leaf Foods plant in Toronto. The Liberal Party calls for the resignation of Agriculture Minister Gerry Ritz, accusing him of staging a coverup of changes to food safety inspections. Maple Leaf Foods CEO Michael McCain says two slicing machines at the company's Toronto plant are believed to be the most likely source of listeriosis that led to the deadly outbreak. Examine the events, circumstances and factors that contributed to the outbreak. Review the efficiency and effectiveness of the response by federal agencies in terms of prevention, the recall of contaminated products, and collaboration and communication among partners in the food safety system and the public. Make recommendations aimed at enhancing prevention of future outbreaks and the removal of contaminated products from stores and warehouses. The Quebec government orders the recall of 11 cheeses because they may contain listeria. The province says one person has died and 14 others were sent to hospital because of listeriosis. The Public Health Agency of Canada confirms a 14th person has died of listeriosis linked to tainted meat processed at the Maple Leaf Foods plant in Toronto. Officials will only say the victim was a resident of Ontario. The medical director of Ontario's public health laboratories says Canadians should have known about the outbreak earlier than the three weeks it took to make a connection between tainted meat and two listeriosis cases at nursing homes. An elderly New Brunswick woman becomes the 17th person whose death has been linked to the same strain of the bacteria that caused the countrywide recall of Maple Leaf Foods products. Maple Leaf Foods reopens the Toronto plant connected to the outbreak. Public health officials in Manitoba investigate the death of an infant who had listeriosis and a "suspected underlying medical condition." Testing and investigation are underway to determine if the case involves the strain that led Maple Leaf Foods to recall virtually all products from its Toronto plant. Number of confirmed deaths in Canada linked to the listeriosis outbreak at Maple Leaf rises to 19. A confirmed death in Ontario pushes the listeriosis death toll to 20, Public Health Agency of Canada says. Maple Leaf Foods agrees to pay up to $27 million to settle class-action lawsuits over the listeriosis outbreak. Prime Minister Stephen Harper appoints an independent investigator to probe the listeriosis outbreak. Sheila Weatherill, former head of Edmonton's health system, is to issue a report — including recommendations on how to prevent a similar outbreak — by July 20. Maple Leaf Foods reaches a $27-million Canada-wide settlement with plaintiffs in the class-action lawsuits launched over last year's listeriosis outbreak. Claimants who became ill may qualify for up to $125,000, depending on the severity of their symptoms, the company says. Dr. David Williams, Ontario's chief medical officer of health, issues his report on the case. He recommends strengthening the ability of provinces to respond to outbreak; better co-ordination with the federal government — with jurisdictional roles more clearly defined — and greater powers for provincial labs to do molecular fingerprinting tests of strains, rather than relying on federal labs alone. Three federal reports also released on April 17 by the Canadian Food Inspection Agency, Health Canada and the Public Health Agency of Canada suggested the federal government lacks expertise in meat hygiene and clarity on identifying the cause of problems and tracking tainted foods. An investigation by CBC and the Toronto Star finds that federal inspectors spent an average of just under two hours a day at Maple Leaf's Toronto meat plant between the start of 2007 and the end of August 2008. On 25 occasions, inspectors spent only 15 minutes inside the plant. Investigator Sheila Weatherill submits her report to the federal agriculture minister on the listeriosis crisis. Opposition MPs called on the federal government to release Weatherill's full and unedited report. The federal government announces it will implement all 57 recommendations made in investigator Sheila Weatherill's report into the listeriosis outbreak that claimed 22 lives. Maple Leaf Foods did not collect Sure Slice roast beef, corned beef and black forest ham products for testing, as originally reported. In fact, the CFIA collected and tested the products.